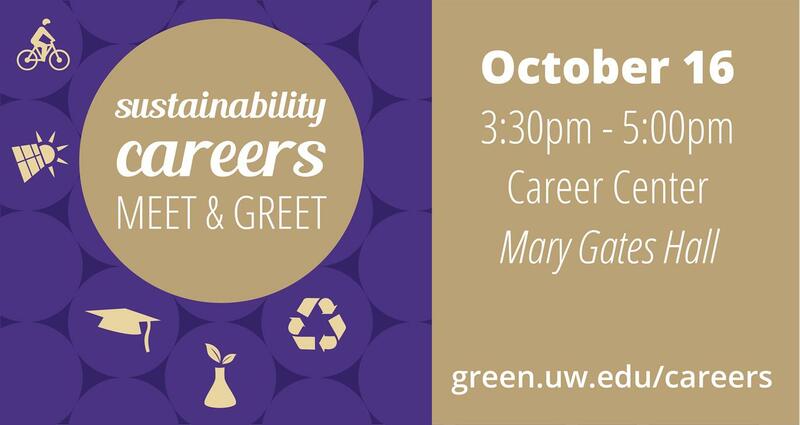 Tuesday, Oct. 16, 2018, 3:30 – 5 p.m.
Join UW Sustainability and the UW Career Center for this Sustainability Careers Meet & Greet connecting students with sustainability professionals. Speakers from the business, non-profit, government and education sectors will talk about their organizations and the career path that got them there, followed by a meet and greet for students to talk with the speakers. This event is for students in all majors who are interested in learning how to connect their career path with sustainability.